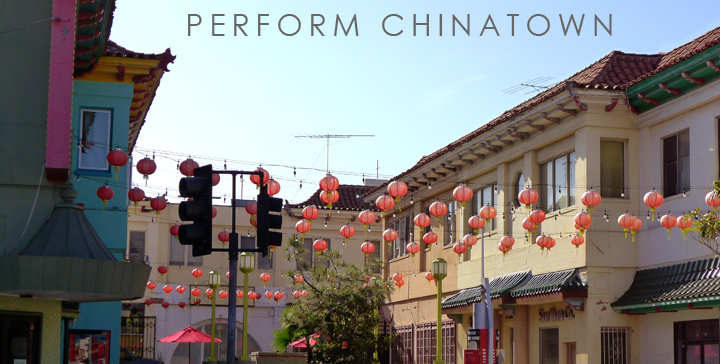 Chung King Road: white-hot heart of performance art on Saturday, July 21. Yes, it rained in L.A. in July. Global warming or sign of the imminent Apocalypse? You be the judge. The King Eddy is Skid Row’s last great dive bar and a seminal stop on any literary tour of L.A. John Fante, the peerless L.A. novelist and unwitting chronicler of long-lost Bunker Hill, knew the King Eddy; his hapless anti-hero Arturo Bandini blew his first royalty check on the floozies of the King Eddy’s (now-closed) basement speakeasy. James M. Cain came to the King Eddy, once a solid, blue collar joint, to hone the brittle dialect of The Postman Always Rings Twice, his tale of the Southern-California-dream-gone-wrong. Dive into the King Eddy Litfest on Thursday, July 19th. Recently, Downtown’s last, gritty watering hole, which has been owned by three generations of the Croick family, was sold along with the King Edward Hotel in which it resides. To honor the King Eddy’s place in L.A.’s literary history, Richard Schave, co-founder of Esotouric Tours and The Los Angeles Visionaries Association, has organized tonight’s King Eddy Litfest with local writers Dan Fante (John’s son), Ruben Ortega, and Jonathan Shaw. There will be prose. There will be poetry. There will be drinking. Your favorite dive bar trifecta. LIT FEST AT THE KING EDDY — Thurs, July 19, 8-9pm; FREE/21+ — King Eddy Saloon, 31 E 5th St, DTLA 90013. For further info, including how to sign up, click here. Speaking of dive bars, aficionados of the late, lamented Al’s Bar will want to dig out the safety-pinned leather jackets and pogo down to the Arts District this Saturday for Bloomfest L.A. where one of the three stages will have a mosh-pit-worthy lineup that includes Mike Watt and the Missingmen, the Gears, Carnage Asada, Sukia, Saccharine Trust with Joe Baiza, Downtown Devil Dogs, etc. Add in the beer garden and you’ll be able to recreate your misspent youth of perpetual stagger and sneer. 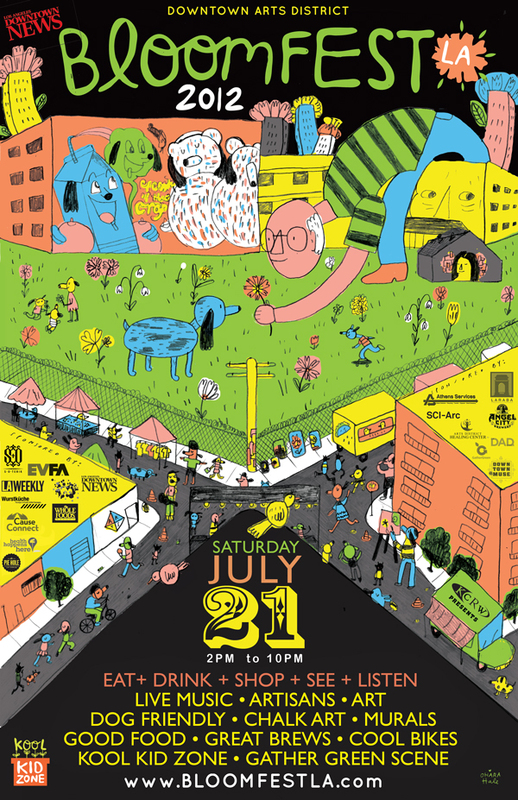 Named after late community activist Joel Bloom, the fest also features more family friendly fare such as guided art tours, food, and an eco-zone. In another nod to the glory days of down-and-dirty art, Karen Finley, she of the infamous NEA Four, will do her first L.A. show in 14 years at Perform Chinatown: a one-night-only performance art gathering that will feature 40+ performers and 30+ “actions, installations, manifestations and interventions” at various Chung King Road galleries in Chinatown. Luckily, you’re no stranger to infamous manifestations. Rain notwithstanding, SoCal temperatures are creeping up. Luckily, Northeast L.A.’s “King of Pop” John Nese, the proprietor of Galco’s Soda Pop Stop, is holding Summer Soda Tasting 2 this Sunday. Just in the nick of time for your next co-ed Marco Polo pool tournament…. Helping to cement Galco’s reputation as the “Amusement Park of Soda”, pop culture historian Charles Phoenix will serve kid-friendly “Poptails” and Seven Layer Soda Pop Rock Cake created with goodies from Galco’s shelves of nostalgic candy in the Charles Phoenix Test Kitchen. Oh to be a fly on that wall. There will be new soda pop flavors from the Dublin Bottling Works and Galco’s own White Rose line; proceeds from White Rose sales and Summer Soda Tasting 2 will benefit the Friends of the Southwest Museum. Continuing the weekendd’s “back in the day” theme, local entertainment includes Don & Bunk: original members of Frank Zappa’s Mothers of Invention. And with the latter 2-in-1 miracle, your Marco Polo tournament supplies are complete. 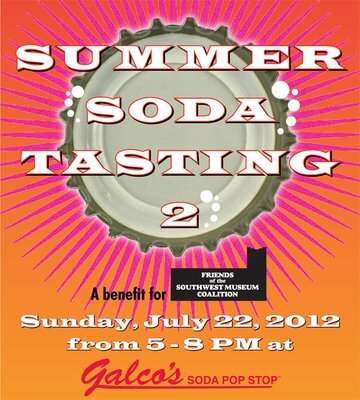 SUMMER SODA TASTING 2 — Sun, July 22, 5 – 8 p.m; $12 advance/$15 @ the door/all ages — Galco’s Soda Pop Stop, 5702 York Blvd, Highland Park,Los Angeles 90042.